Holy Week is just around the corner. And if you happen to be in Bataan, here are some interesting colonial churches you can check out if you plan to do a visita iglesia in the province. Orion Church probably has the best-preserved retablo in the province of Bataan. The marker outside the church mentions that Orion became independent from Abucay in 1667. The church was damaged during the 1852 earthquake and repaired in 1854. 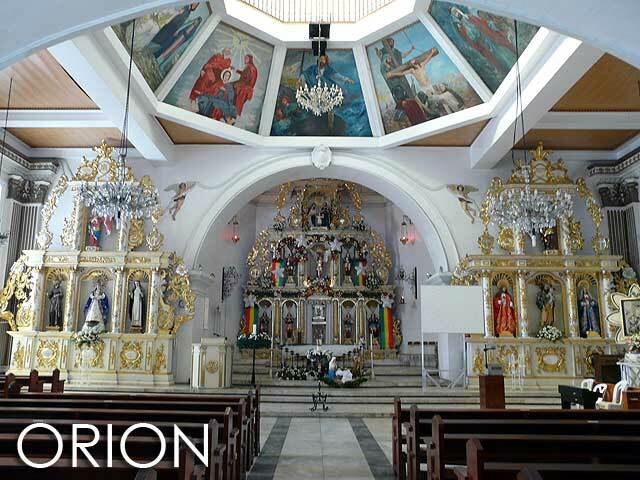 Cayetano Arellano, the first Filipino chief justice is from Orion. Francisco Balagtas, author of Florante at Laura, also lived in the town from 1842 to 1862. Pilar Church is another interesting church, a well-preserved adobe structure with its belfry located on top of the main facade. 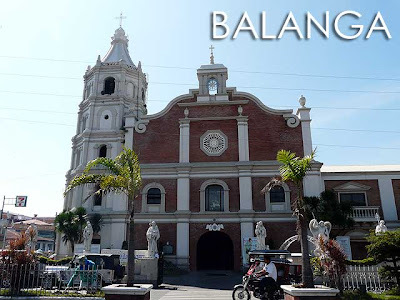 Balanga became an independent parish in 1739. The Balanga Cathedral is the seat of the Diocese of Balanga. Unfortunately, they layered the facade with new bricks thereby altering its character. Abucay Church is a National Historical Landmark. 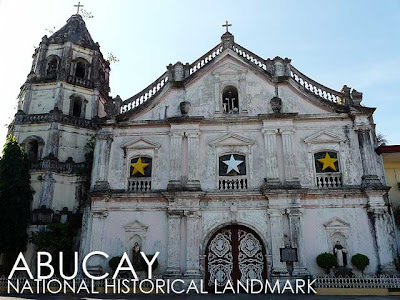 According to the National Historical Commission, the spiritual ministration of Abucay was entrusted to the Dominicans in 1588. 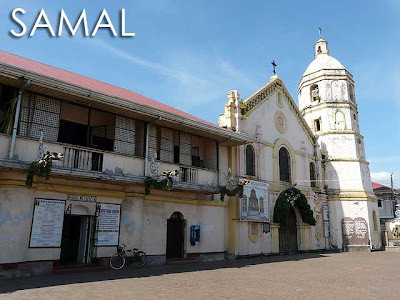 It is significant because a fierce battle between the Dutch invaders and the Kapampangan defenders was fought in the area surrounding the church on June 23, 1647. Nearly two hundred Kapampangans were put to death, and forty others, together with Spanish alcalde mayor and two Dominican priests, were taken prisoners to Batavia (Jakarta). The printing press of Tomas Pinpin operated in Abucay. Samal Church seems to have the most-intact convento of all Bataan's churches. The parish was entrusted to the Dominicans in 1596. 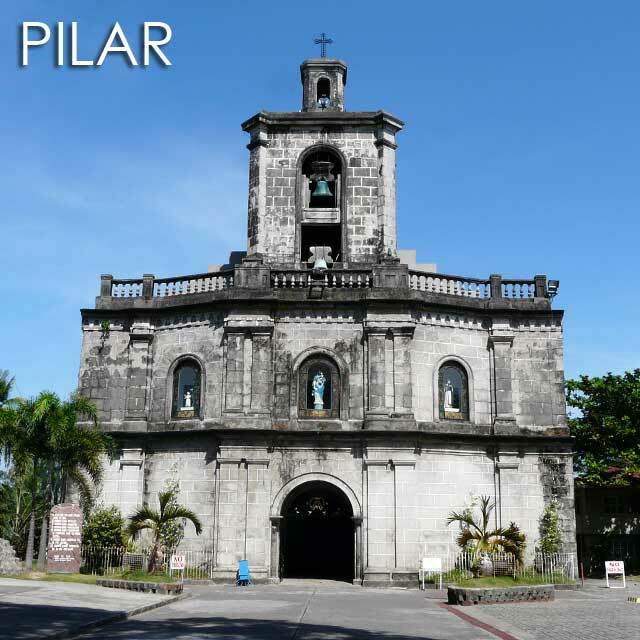 The church was destroyed during the Dutch Invasion and the Philippine Revolution. Dutch invaders attacked in April 1647. But the local garrison of Pampanga under the command of Alejo Aguas repelled the Dutch forces. The church and the convent were ruined during the invasion. 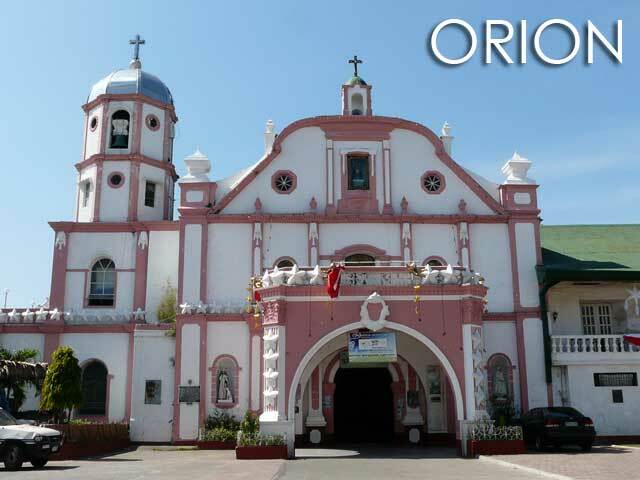 In 1896, the church was burned by the Katipuneros to drive out their enemies in the convent. The church and convent was rebuilt in 1903. 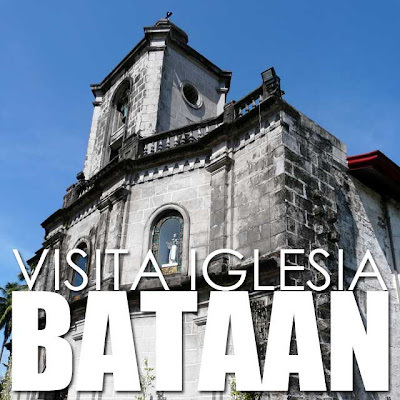 For more visita iglesia itineraries, check out Visita iglesia to our heritage churches.